It’s never an easy route. Always a road less travelled, off the beaten track it seems. But with the right formula and attitude, entrepreneurship could be fun and rewarding. Many people work their whole life and not knowing what they want. And more often than not, we were taught from young to stay committed to our work, be paid, and to earn a decent living. To defy this notion of staying comfortable, safe, and secured, seriously, takes a lot of courage and determination. And it’s not for faint hearted. Nonetheless, I am an advocate for entrepreneurship. Much influenced by a book ‘Rich Dad, Poor Dad’, read some many years ago, out of boredom and an inquisitive mind to push my comfort boundaries. The book daunted on me that we need to work smart and not work hard, build assets and not liabilities. And always create a legacy for oneself. With that as the backdrop, I started Feet Haven and The Influencer Network. Here’s 8 reasons why you should consider starting out on your own. It’s a matter of perspective. You could be working really hard for the first few years. Late nights and sleepless nights thinking about your revenues and bottom lines. Some friends I know don’t even draw a salary to ensure a decent cash flow for their business. There’s a saying, “Entrepreneurship is living a few years of your life like most people won’t so you can spend the rest of your life like most people cant.” I truly subscribe to this saying and I believe with determination and luck, one could find success. It’s really difficult to strike a balance between passion and money in the real world. A lot of my friends are caught in the corporate game chasing numbers and money and It’s never about the passion. On the other hand, there’s also a growing group of advocates who preach passion but never earn big money. As one grows older, it becomes natural we question our purpose in life, and if we don’t find self-worth, it makes it hard for enlightenment. Entrepreneurship allows one to marry both passion and money at the same time. Thus, You need to find a passion, and translate your passion into a money making machine. There’s a saying ‘Focus on your craft and chase after it. If you do it well, fame will chase after you’. Alot of people are caught into the situation of working for our bosses. Worse still, we lose track of direction of what we want to do in life. We spend our whole life writing politically correct emails, serving the needs of our bosses, waiting for the clock to strike 6pm, and forming corporate alliances to stay relevant. 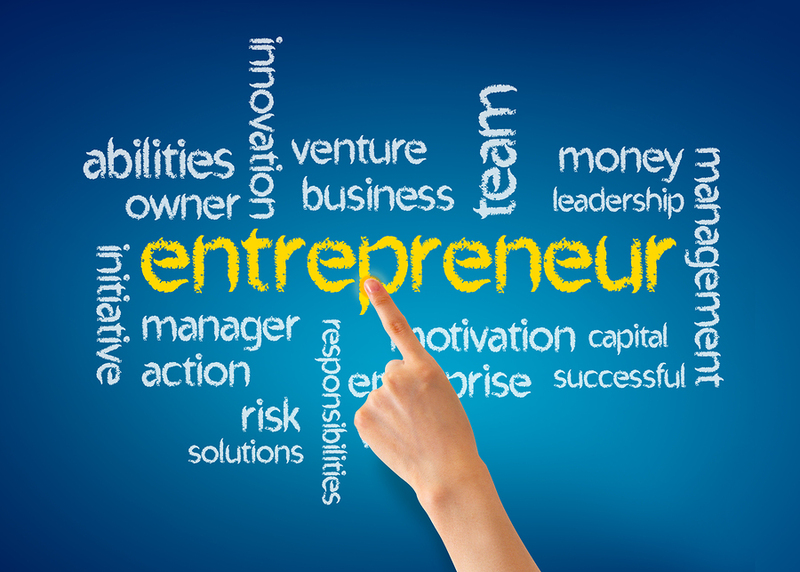 Entrepreneurship allows you to truly build something of your own. Whether it’s an indie cafe, a fashion label franchised from overseas, or a startup company, you can truly call the business your own. You build equity for yourself rather for someone else. This notion could be true. However, the fact is that when you are an entrepreneur, you need to say good bye to a 9 to 5 work arrangement. You work longer hours than your staff. You need to plan ahead. Work non-stop just to get your eco-system going. It can be very daunting at times. You probably got to make a lot of sacrifices, turning down casual meet ups, dinners, social meetings, etc. YES, It’s truly flexible, in that sense. Your 24 hours is your world and opportunity. How you make use of your time will probably define the extent of your success as well. Remember those times when you question why you need to study certain subjects during your uni days and not apply them at your workplace? One example could be the study of Accounting & Finance and how it was rarely used for an advertising or Marketing person. Well, as an entrepreneur, this is the chance for you to hone all your skills you once acquired. An entrepreneur takes care of everything. Literally, everything from operations, human resource, Marketing, finance, public relations, customer service, and the list doesn’t stop. Its really a chance to put all the knowledge and skills you once acquired to the test. As an entrepreneur, you can then truly call yourself a Jack of all trade, and a Master of Many. Let’s talk about fulfilment here. How many times have you achieved a state of fulfilment in your work. Yes, perhaps a couple of times when you helped your company launched a successful campaign, managed an event, balanced the year end books, predicted the share price correctly, etc. As an employee, I believe there are many push and pull factors that might trigger you to leave your company. In a sense, the fulfilment no doubt is there, but the state is never long-term. Look at entrepreneurs around you. I believe alot of them have attained a state of fulfilment or enlightenment if you like. A little intangible here, but I believe it is one good reason to join the force of entrepreneurship. I am not advocating for a macro outlook or approach in things. In fact I have been learning to be micro as a boss as I tend to focus on the broad side of things and neglect the nitty gritty stuff. As an entrepreneur you are trained to be someone who sees the bigger picture. You are responsible in making things happen and create that magic for your staff and business. When I say quality time, I am comparing with friends who need to work late or on weekends because of certain work demands. As an entrepreneur, and with proper planning, good quality time, aka work life balance could be achieved. I know of friends who spent their time attending yoga lessons, sipping high teas with peers and leading a fairly good quality lifestyle. With the right work pitch, quality time could certainly be achieved in one’s life. I don’t profess that I am a successful businessman. In fact, I do think i have loads to learn from my fellow mentors and entrepreneurs. My businesses are nothing compared to some established companies out there with true heart-felt stories to tell. Its a road less travelled and often times, you feel like quitting. I am serious. I often question what I am doing. And why don’t I just take the easy way of becoming a Marketing Director for a company or continue with full-time academia work in some renowned universities? However, I do believe the pros outweigh the cons. There’s liberty of self-worth. True enjoyment in your work life. And a manifestation of true joy and happiness that arise from a brand you call your own. In fact, with every pro, there’s thousand and one cons out there telling you not to do so. I believe its the inner voices and forces that keep one going. I am ending my post with some inspirational quotes about entrepreneurship. I hope it will motivate you in your pursuit of your impossible dream. Good Luck! The Writer Dennis Toh is the owner of Feet Haven Reflexology and The Influencer Network Communications Pte Ltd. He is also a University Associate with Curtin University (Singapore).